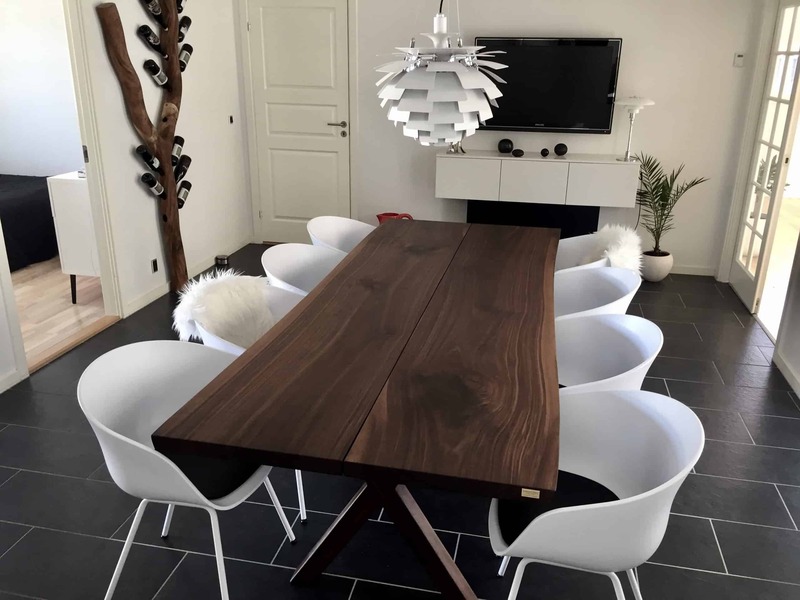 Decades ago, the dining table was the kind of table that stood in the “fine dining room” and that would only be used if guests joined for dinner. This is, however, not the case anymore. Today, the dining table is so much more than the table we sit at during mealtime. Instead, it has become a natural gathering spot for the family. 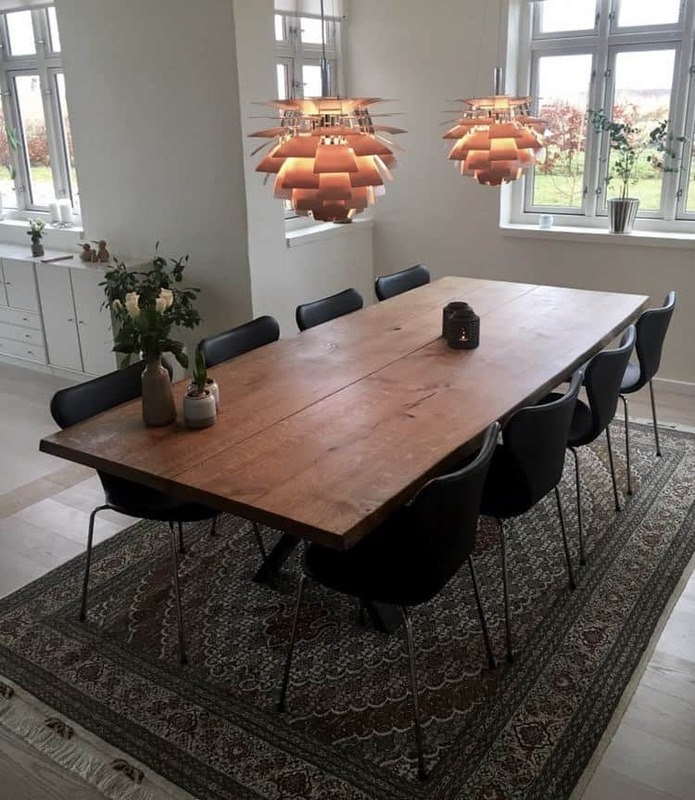 Over time, the Danes began spending more and more time at the dining table. This is not only related to the fact that it is a practical piece of furniture to sit at during meals. It is also related to the fact that we are good at enjoying ourselves, whether it be with our spouse, girlfriend, children, or friends. 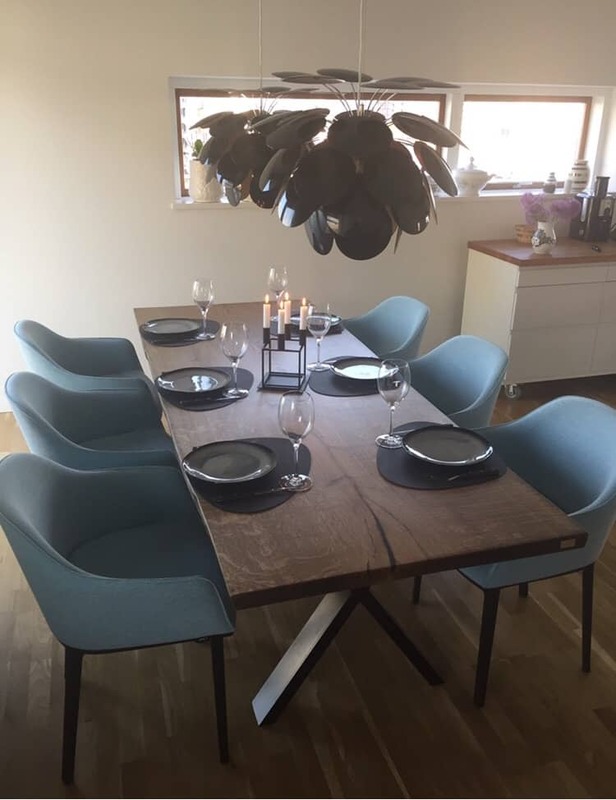 The dining table has gained new functions in the modern Danish family. This is where we play cards with friends on Friday evenings. This is where we play board games with our children on rainy Sundays. And this is where we sit when we help our children with their math problems. This is also where we dream about our next holiday trip, and this is where we find out if our budget is realistic for our traveling goals. 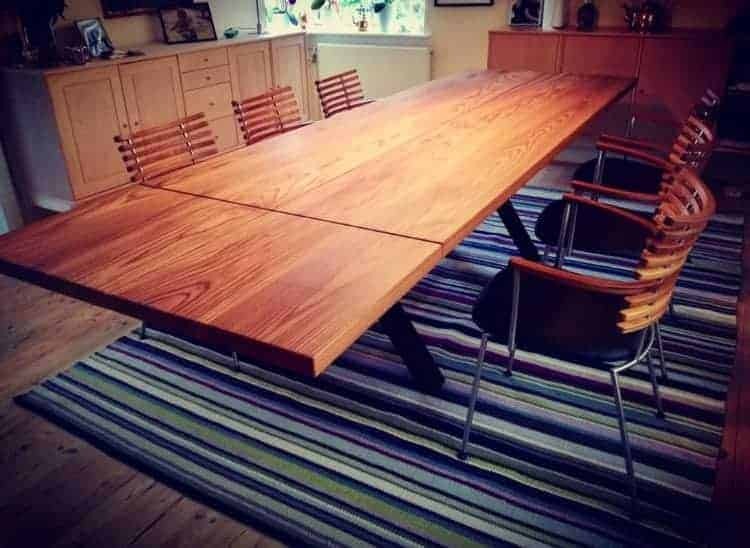 It is therefore with great pleasure that we will produce the quality table that you and your family will gather around for many years to come. 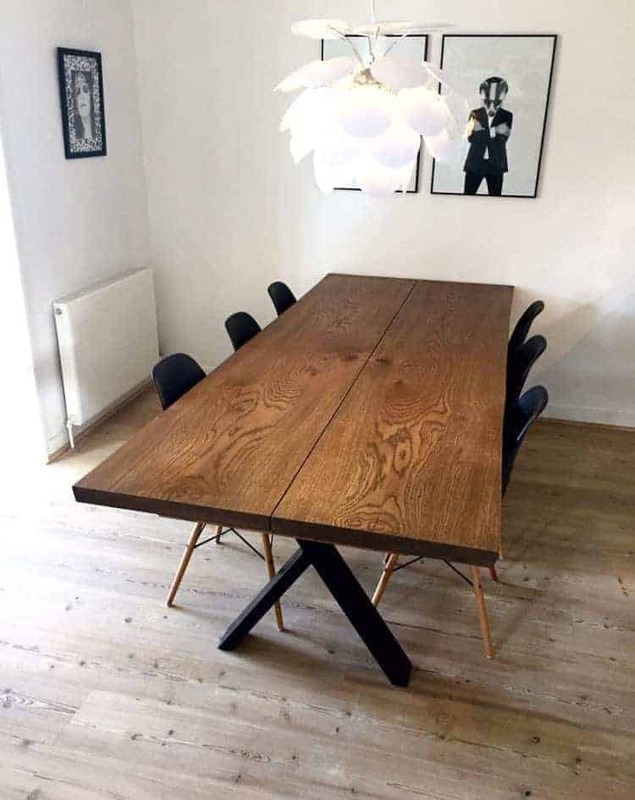 We would also gladly provide you with guidance and advice on your new dining table. 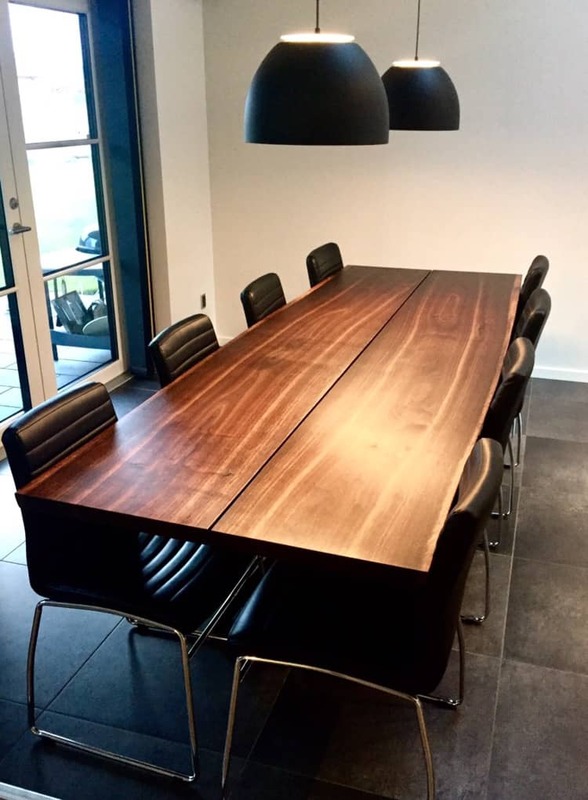 If you need inspiration for your new dining table, you are welcome to drop by our showroom. You might find just the perfect table. 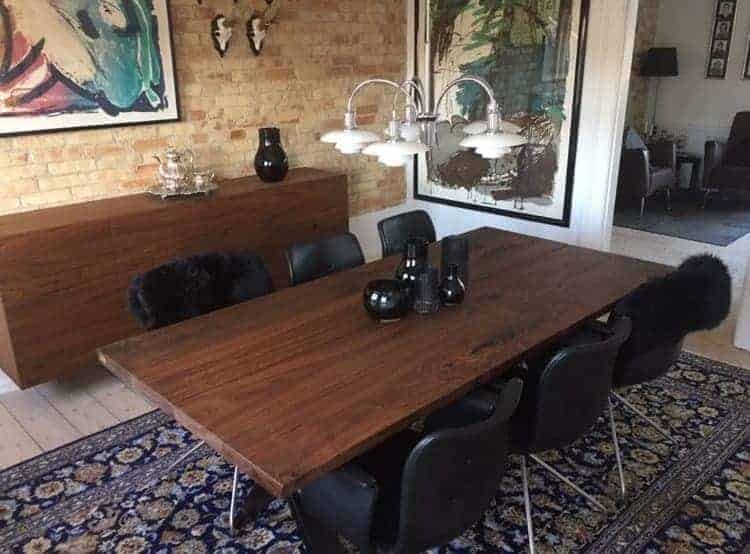 If not, we can make a custom one that perfectly fits your need - we have great experience making dining tables in different sizes and shapes. The options of customizing and buying extension plates ensure that we can always find a great solution for you and your family. 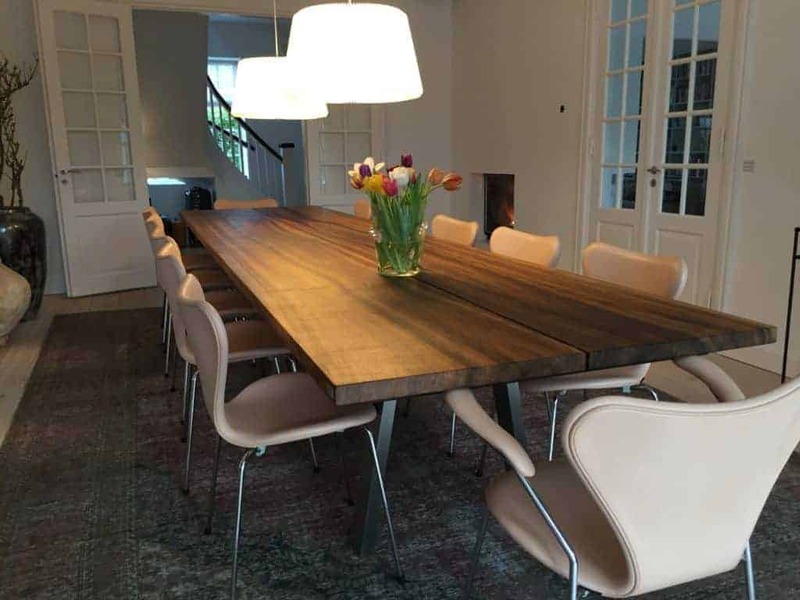 In line with the growing popularity of plank tables, many tables in many different qualities have emerged in the market today. When you visit our showroom, you will see for yourself that our quality is the best. Our tables are beautiful, functional, and made to last for generations. We spend a lot of time and energy making sure only the best wood reaches our workshop. Wood is a natural material and no two planks are the same. At Kærbygård, we take pride in finding the right planks for your table. Whether you want a fine grain pattern or a more rustic one, we will help you find planks in accordance with your wishes. In addition to the traditional rectangular plank tables, we also make oval and round tables. 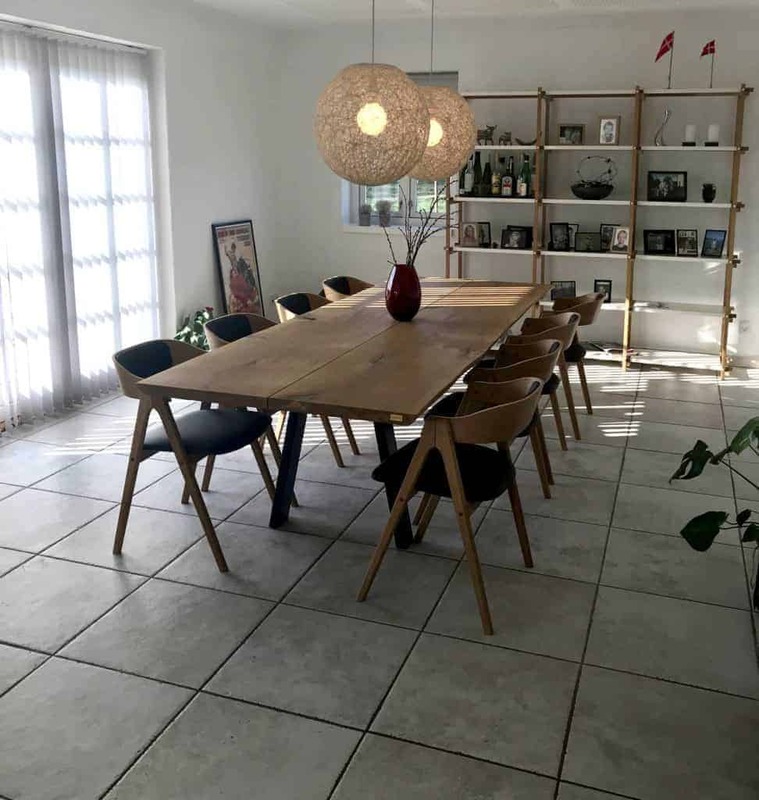 We can make them with tiny gaps between the planks or we can glue the planks tightly together, giving you a smooth and dense plate in solid wood.